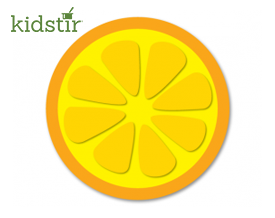 Print up this fun orange pun for a playful picture to help kids enjoy a couple of orange drinks. First we have a science experiment you can eat! It’s our Orange ice cream float. Then try our orange soda made with real oranges and other fresh and tasty ingredients. Here’s a little more summer reading on oranges if you can’t get enough summer learning in the kitchen. Here’s a fun way to make orange gummies out of gelatin and orange juice. If you are looking for healthy snacks on the go, try freezing orange segments on toothpicks for an easy cold treat on a summer day.